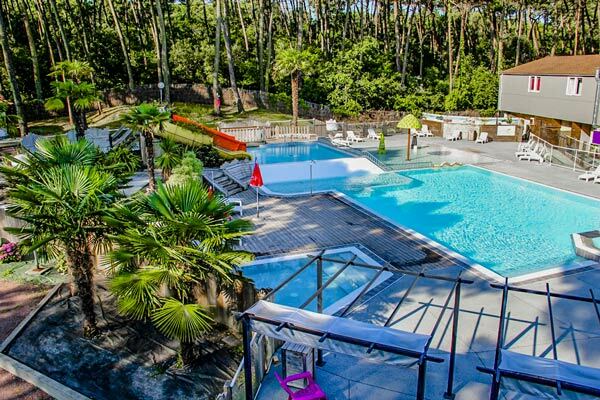 By renting a room in our hotel near Royan, you can enjoy access to the various leisure and relaxation facilities of the holiday village. Indeed you will have access to the services offered for the whole holiday village while enjoying the comfort of a hotel. Restaurant, bar and snack bar, sports fields, mini-golf, and of course aquatic area. 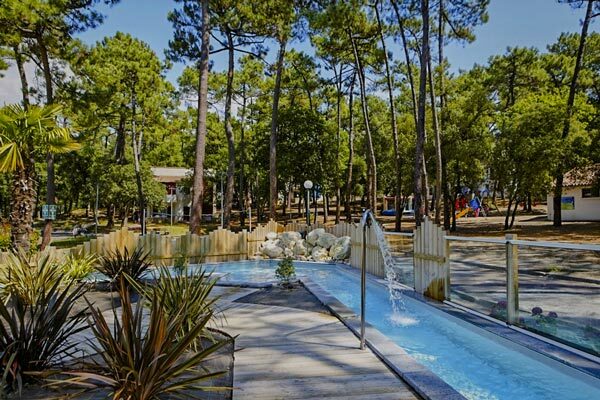 The advantage of our hotel in Saint-Georges-de-Didonne, near Royan? The aquatic area and its large pool ideal for swimming and swimming with the family, this main pool offers 140 m2 of water heated to perfect temperature. Its depth is progressive and ranges from 80 to 140 cm to allow safe family use. Adults swim comfortably but always have feet, which makes it easier to practice aquafitness or water polo. Children who can swim can also have fun there safely. Our aquatic space leaves no one on the sidelines, indeed a paddling pool is also dedicated to the very young: with its water depth of 40 cm, the youngest take pleasure in splashing around. aquatic games animate this playful pool: water jets, a rain mushroom and fun creatures. 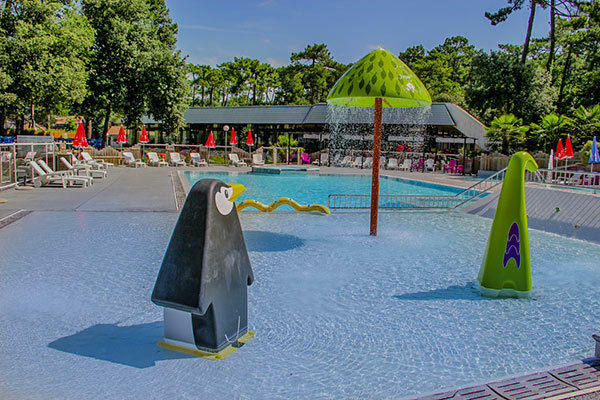 If you stay in a hotel with older children, they will definitely head for the water slides: our pentagonal and tubular slides promise them good sliding experiences: on their holiday programme, fun, spending and laughs are guaranteed! 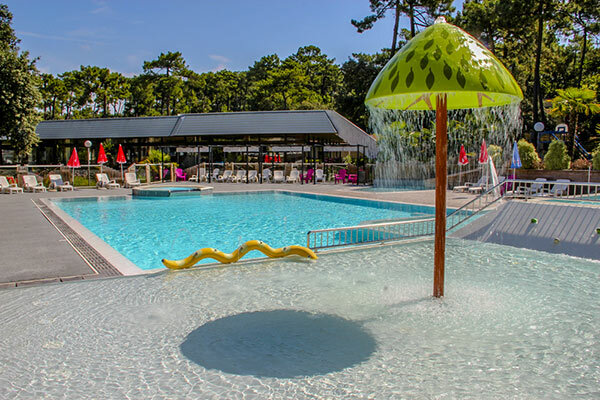 Next to the large pool, the swimming river can be a suitable and reassuring place if you want to take advantage of your stay to teach your child to swim. Our aquatic space is also ideal for relaxation and giving yourself a wellness break. 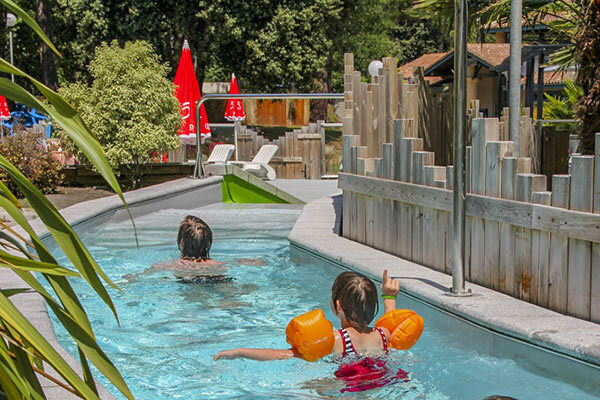 To relax, our aquatic area is also equipped with a Jacuzzi: watch the children have fun while enjoying the relaxing effect of the whirlpool bath! You can then comfortably lie on a deckchair by the pool, in the shade of a pergola or parasol, or in the sun to perfect your tan. 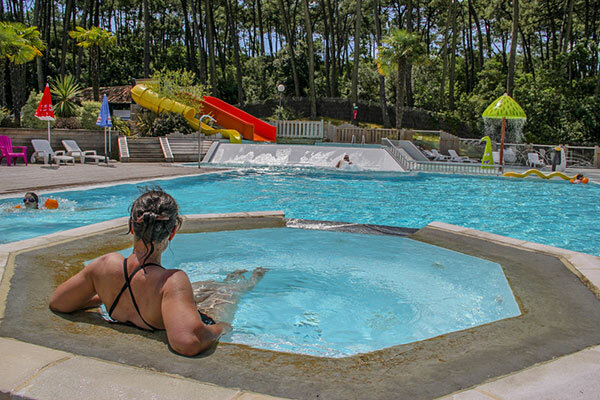 Take advantage of our hotel with swimming pool to offer you a stay 100% relaxation near Royan !